CHARACTERISTICS: This wine is straw-yellow colour and golden overtones. It has a fresh fruity bouquet with a slightly "boisé" flavour (woody flavour). 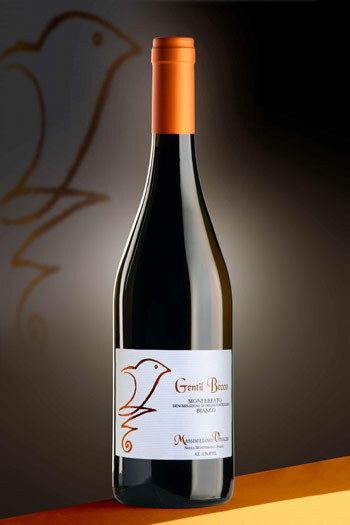 It has a well-balanced body with an agreeably acidulous taste. It has a slightly aromatic and fruity bouquet. It taste is soft with a light spiced aftertaste. FERMENTATION: Grape - stalks are removed and grapes start the maceration process which lasts about 2 - 3 days. Then, grapes are pressed and the obtained must continues its fermentation process in small French oak barrels. MATURATION: 9 months in small French oak barrels. MINIMUM ALCOHOL: 12,0 % vol.